So, what’s changed? Why put this piece forward now? Well, for a start, certain recent media reports have given my concerns a bit more weight. But before we get into that, we need to talk about Ben Hunt’s performances so far. Much has been made about that grubber on the third tackle in Game 2, and many of Hunt defenders have taken the position you can’t drop a player due to one bad play. Now that’s a point of view I would generally agree with, however, a look back over the series paints that incident more as the consistent trend than an isolated brain snap. For a start, it wasn’t the only seven-tackle restart Hunt conceded in that half of footy, let alone the series. Queensland’s fifth tackle options have been found wanting since the ball kicked off in the opening game and when a team is lacking direction in attack, the lions share of the responsibility rightly lands at the one who’s been given the role of directing the team around the park. But it’s not just his direction and composure which has been an issue. His individual form hasn’t been great either. Hunt’s best attribute is considered to be his running game, but it’s an attribute that’s been surprisingly absent. So far Hunt has recorded eight runs for 61 metres. To put this into perspective, 61 metres represents only 11 per cent of the total metres run between the four halves this series. Nathan Cleary, who is widely acknowledged to have been eased into Origin over his two games, equalled Hunt’s total runs for the series in his first game. 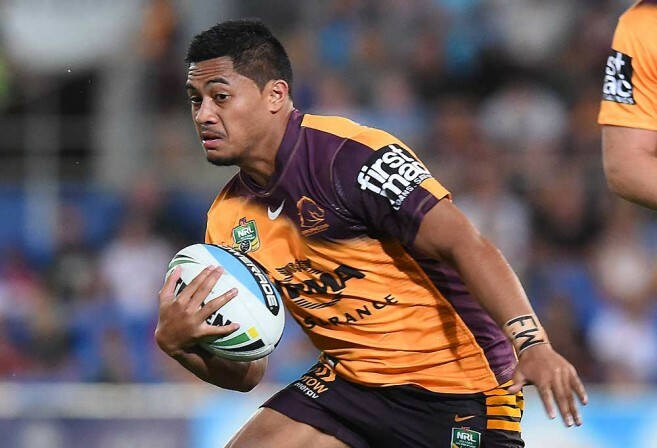 Even Anthony Milford bettered his former teammates running game in Game 1 despite only touching the ball four times in a fifteen-minute stint. Why a dominant playmaker picked for his running game would shelve that aspect of his game on the biggest stage is a question I just can’t answer. Now, a running game isn’t the only indicator of a half’s effectiveness, and Hunt received the ball more and threw more passes than any other playmaker this series. So what’s been the outcome of all this increased ball movement? Well, to put it bluntly, not much. His 92 passes so far haven’t resulted in a single line break assist, while the only try assist he notched up was off a kick. Speaking of kicking games, of interest in game 2 was Hunt apparently scaling back his monopoly of the kicking duties to a more even split with Cameron Munster, with the Storm five-eighthh kicking more and kicking further then Hunt while gaining two forced drop outs for his efforts in contrast to Hunt’s two seven-tackle restarts. All in all, you expect more from your dominant half in the Origin arena and Hunts contributions to his side were found wanting. However, and this may seem strange given the preceding paragraphs, I don’t blame Hunt for Queensland losing the shield this year. If that is what Hunt is able to bring to the table when made the dominant playmaker in the league’s tightest contest it doesn’t make him a bad player, it just makes him a bad choice for that role. And the thing is, it doesn’t make him a bad selection either. Some may have doubts about a players ability fill a certain role, but no one really knows how a player will go until they’ve experienced it. Up until a player has actually had a chance to compete, their selection is as valid as anyone’s, and many a player has proven their doubters wrong. No, it’s not Hunt’s abilities or the validity of his selection that concerns me, but the lack of an opportunity to get an accurate gauge into the viability of his skill set within the team that really concerns me, and it was entirely avoidable. After such significant personnel changes since last series, Queensland couldn’t rely on their past formulas as a starting point and needed to quickly establish a reliable baseline from which they could build their series. Yet, it came out during the Game 1 press conferences that Hunt was unable to train with the squad during camp due to injury. It seems that securing Ben Hunt’s position as the number seven was more of a priority than ensuring stability and cohesion in the new and untested combinations. This meant that Queensland were essentially flying blind coming out of the Game 1 loss, unable to discern how much of the loss was down to poor preparation and how much was due to the game plan built around Hunt. Going into Game 2, the Maroons were essentially still at square one, relying on the hope their key organiser and strategy were sound foundations to build off rather than being able to make informed adjustments to personnel and tactics thanks to a reliable baseline from the previous game. At a point in the series where all their efforts should have been focused on how to stop their opposition and expose their weaknesses, Queensland were still trying to work out what was working for themselves. Sure, you might argue this was only a problem because Queensland lost the series opener and teams have won games with less than stellar personnel and tactics before. 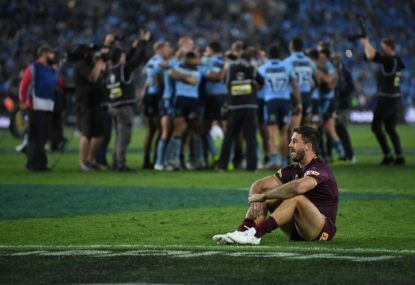 However, had Queensland won it would only have papered over the cracks and delayed the inevitable. No other form of the game is under as much scrutiny as the Origin arena and weaknesses don’t stay hidden for long. Regardless, Game 2 was almost a mirror image of Game 1 where Queensland once again lacked direction in attack and were again unable to capitalise on the opportunities presented to them, putting them at a decided disadvantage. Now, I said before I had no issue with Hunt’s selection in principle, but its the question over why Hunt was selected that raises some red flags personally and I fear it may be indicative of broader developments. I’ve never been overly convinced of the assertion that he was picked on form. I find the term “form” far too open to interpretation to be a credible rational for selection and it’s usually more of an easily digestible justification for selection than a true reason for it. Even if a player is widely accepted to be the in-form player in their position, attaining individual success under a certain system is no guarantee that they’ll be compatible in a different system, especially if filling a different role entirely. At any rate, it’s highly debatable that Hunt was, in fact, the “in-form” half at the time of selection. In the month immediately preceding the team announcement, Hunt’s Dragons were two from four in a period where they were the victims of two floggings and managed a win against the Storm in one of the worst games of the season with Hunt personally unable to finish two of his last three games due to injury complaints. 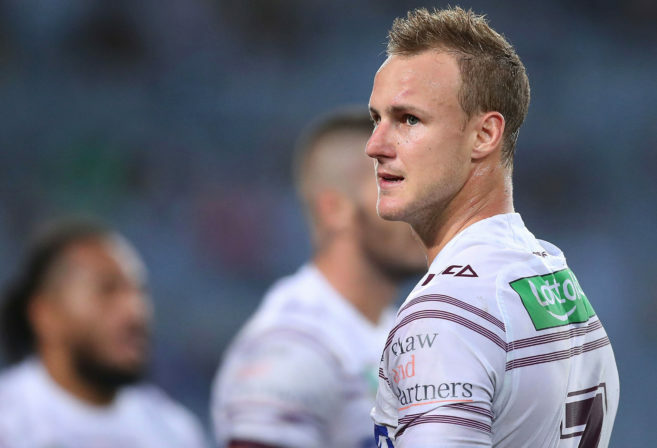 Daly Cherry-Evans, on the other hand, had enjoyed convincing wins over both the Storm and the Broncos (and came very close to beating the Raiders and the Roosters) and a lot of noise was being generated around possible Origin selection as a result. Yet, despite injury concerns, a dip in form, not actually being the main playmaker in his side and Queensland’s desperate need for a genuine goal kicker, Hunt got the nod. To be clear, I’m not saying that Queensland should have gone with DCE, what I’m saying is the reasoning around Hunt’s selection appears to be based more on taking the team in a premeditated direction than on either form or the immediate needs of the team and it’s here Kevin Walters enters the picture. Now while Kevie is entirely within his rights as coach to implement the team he sees fit, it does raise serious concerns when one of the key figures that his plans are based around fails to deliver. Even more concerning is the apparent cost of implementing these plans. When Walters took over the reigns from Mal Meninga in 2016 he inherited a successful side. But more than that he inherited a successful organisation built around systems and principles that had led Queensland to dominance for the better part of a decade. A quality side might win you a lot of games, but it’s the organisation behind the team that allows you to assert dominance over long periods of time. So, it comes as a surprise when elements of those same systems leading to so much success appear to be getting replaced or removed. For instance, the loyalty concept has been one of the core principles the dynasty’s been built upon. While it’s been over-simplified to “pick and stick” by many, the general gist of it was not to drop proven performers based on club form, competition from younger players or a single poor game. This resulted in a glut of valuable origin experience on-field and a strong tradition of sending off retiring players on their own terms on the footy field. At the same time, the side averaged a healthy two to three debutantes a year, ensuring the team was constantly being renewed while also giving rookies a stable environment to come in through. However, in just his second year as coach Walters decided that mass changes were needed after the Blues ambush at Suncorp last year, dropping a number long-term regulars. The selectors at the time made a point of saying that the new look team was very much Kevie’s team, alluding to differences in the philosophy between selectors and the coach. In the four games since, twelve new players have made their debut for Queensland and when questioned whether the loyalty card was dead after veteran players were again looked over in favour of younger players earlier this year Walters responded that he was being loyal to the debutantes from the previous year. Now, this may well be his point of view, but there’s no denying that it’s a very different interpretation to the previous decade. Any thought of the staggered retirements of the previous years continuing have since been shelved with nine long-term players either dropped or announcing their immediate representative retirements over the last twelve months (not including the non-selection of Matt Scott), with only Billy Slater expected to receive a proper send-off. While this doesn’t necessarily mean the old guard are abandoning ship, it shouldn’t come as a surprise that actively over-looking veterans in favour of younger players would result in said veterans having a much shorter outlook on their rep futures. It’s also a precedent which can result in players feeling pressured to make way for the next generation or to retire rather then languish in non-selection limbo. Case in point is the example of Darius Boyd who felt the need to retire from rep footy after game 1 despite making every indication that he wanted to keep playing in the lead up to selection, a move which reportedly blind-sided the Maroons coach. Another principle the dynasty was built upon was no player was bigger than the team. This was reflected in a number of areas, but particularly in regards to team selections. Maroon teams were far more reliant on working together then individual brilliance and featured honest workhorses to compliment their stars abilities with every player having a role. Looking over the series so far though would suggest a deviation from this as well. It’s hard to extract much of a game plan from the first two games, both featured early success with targeted raids down the edges early in the count, yet in both games they seemed to ditch what was working as the strategy seemed to dissolve into “get the ball to the halves and let them play what’s in front of them”. Not only did this see the points dry up, but the lack of sustained, targeted pressure resulted in early leads being squandered as NSW were consistently let off the hook thanks to rushed plays, allowing them the field position needed to launch their own plays. 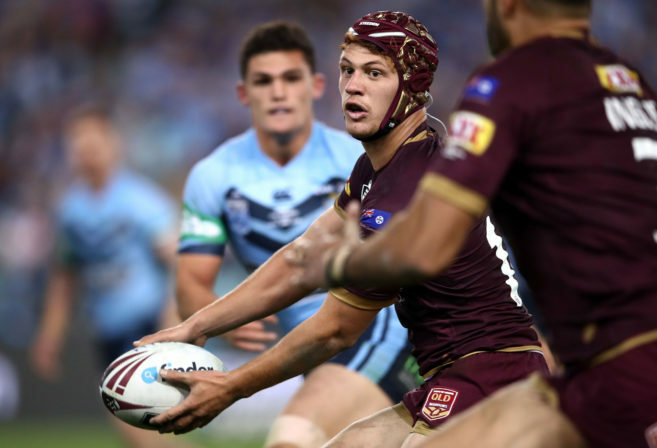 There was also the inclusion of Kalyn Ponga in Game 2 which seemed to be more because he had to be picked then that he was needed for any particular role. While individually he was good, his injection into the game seemed to disrupt the structures that had placed NSW on the back foot early. After two tries and one disallowed in the opening twenty minutes Queensland would only cross the Blues line once in the following 60 minutes once Ponga was brought on. It appeared to be another example of a reliance on individual brilliance over sound strategy. You see, for all of Queensland’s star power over the decade of dominance, individual brilliance never came at the expense of a good game plan. Victory came off the back of absorbing damage in defence and counter punching once the opposition took the foot off, drawing defenders into the middle and then sending it out wide to create the overlap and coordinated kick chases ensuring good kicks didn’t go to waste. All of which required teamwork and for everyone to be on the same page which allowed for individual brilliance to be shown within the offensive and defensive structures themselves, not in place of them. The current game plan seems to have strayed from that. So am I suggesting Kevin Walters is a bad coach? I’m not entirely convinced that’s the case, there have been enough glimpses of how good Queensland can be during this series to suggest otherwise. I believe the current cracks may have more to do with an overzealousness to establish his own vision of what the team should look like. There’s certainly been an eagerness to move on from the past shown over the last two seasons and while Walters certainly inherited a successful team, this series has been his first real opportunity to attain his own success separate from the legacy of past dominance. On the other hand, the end of this series will also be the first real opportunity for him to evaluate the feasibility of his vision, and he deserves this chance. It will be Queensland’s approach to origin next year that will be the true insight into his long-term prospects. And it’s here that we get to the recent reports that concerned me enough to convince me to stop putting off this article. Rather than accepting the inevitable criticism after just the second series loss since 2006, Walters went on the defensive. From the press conference immediately after the loss he began mentioning decisions and moments that went against his side. Now, things get brought up in press conferences and he was obliged to answer the questions presented to him, but in the weeks since “it didn’t cost us the game but” has almost become his personal catchphrase, trotted out whenever questioned about the teams shortcomings as though alluding to a victim card he could play but won’t, just as long as everyone’s aware that it’s there. He also decided to have a go at the social media “idiots” for criticising his side. But the thing is that many of those he labelled “idiots” are in fact the very supporters his team is supposed to be representing. They are very much entitled to voice their criticisms. Together, these two incidents seem to project an attitude of denial rather than accountability. I sincerely hope this isn’t the case, because nothing good can come from that.